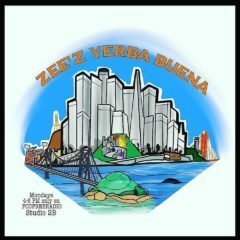 Yo tune in Sunday noon to 2 in studio 2b. I’ll have Carl L. Johnson and maybe also Annette from the faika show. It’s the show that’s right before mine in the same studio so they probably don’t even need to get up. Well..maybe just to switch seats. I’ll have comedians Paul Conyers, Chelsea Eiben, Nicole Tran aaaand co-host Cassandra Inglesby with us. We’ll also have one of the big names in the Southbay hip hop scene Redd Baron joining us. Oh and I am the host Luke “Walgreens” Sauer.